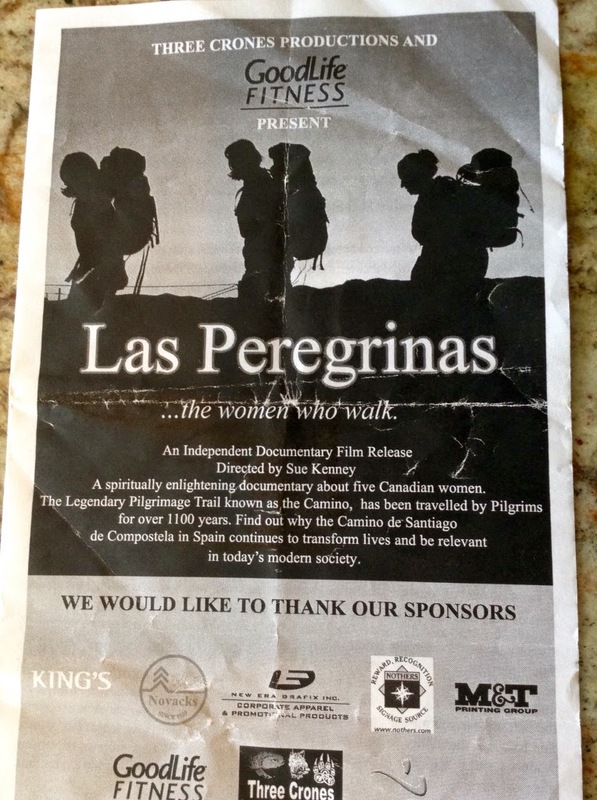 Hyping the Camino: "And that has made all the difference". Can you recall a single instant or comment which, if it had not happened, the direction of your life would be totally different? What one moment of serendipity, synchronicity or happenstance resulted in a paradigm shift in your life? 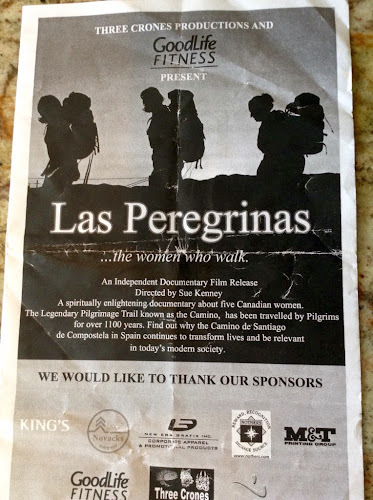 As I have been collecting my gear, preparing to pack my backpack, that same backpack that two years ago I vowed I would never ever carry again, my thoughts have been circling around how all these pilgrim walks came to be such a predominate part of my life; how several years ago a chance glimpse at a flyer of 'Las Pereginas - the women who walk' grabbed my attention and changed my life in such a significant way. There was something about the shadowy images of the three female backpackers that captured my interest and eventually my heart and soul. Within 48 hours of attending the advertised presentation and enthusiastically sharing the idea with Dayton, we were pilgrim wannabes. Thinking of this made me realize how one chance moment or happening can cause such a dramatic shift in the direction and focus of one's life. What if I had not noticed that flyer? What if I had given in to my usual lazy nature and decided it was too cold and wet to leave my warm fireplace to go out on a freezing Sunday afternoon? What wonderful experiences we would have missed! For the last eight years 'the Camino' has been a satisfying dominant factor (obsession our friends and family might say) in our lives. What started out as a 'once in a lifetime' pilgrimage across Spain became another and another pilgrim experience. After completing that initial pilgrimage, the Camino Frances, from St. Jean Pied de Port at the base of the Pyrenees in France walking 792 kms across the North of Spain to Santiago, we have returned to walk the Chemin Le Puy and again for the Chemin d'Arles, the Camino Aragones and the routes from Santiago to Finisterre and to Muxia as well as undertaking a seventeen day stint as hospitaleros at the Albergue San Miguel in Estella in Spain. What if I had not noticed that flyer? But I did - and that has made all the difference. One glimpse of a poster turned out to be a pivotal moment in my life, changing it forever and now, reflecting on it, has brought me to consider a couple of other pivotal instances that caused a seismic shift in my life. I think back to when I was a young teacher, new to London, with nothing to occupy my time except lesson planning and university courses. I needed something else in my life, some extracurricular pursuit. I wanted to dance. A chance comment to my student teacher bemoaning the lack of adult dance classes in the city resulted in discovering a completely new focus for my life and career. My student teacher said she danced with the university modern dance company. I went with her to the very next class and, while she stayed with the company until she graduated, I stayed for over twenty years, dancing with the company, taking curricular and extra-curricular courses in dance and eventually taking an educational improvement leave to study dance at the University of California at Irvine. I returned to my school board to develop and implement courses in dance which directed and enhanced the last twenty years of my teaching career. What if my student teacher had not enlightened me about Dance at Western University? But she did and that has made all the difference. That study leave in California led to the absolute most important single moment in my life. Easily settling into my year of California Dreaming, I was enjoying the Newport Beach sunshine and the pool at my new apartment complex when the superintendent stopped by and asked me if I had met 'the Virginian'? I hadn't but thanks to George the Super, I did. I met the Virginian, married the Virginian and have been sharing love and family with him ever since. What if the superintendent had not bothered to ask me, "Have you met the Virginian"? But he did - and oh my, that has made all the difference. And now I will refer to one of my favourite quotes from Winnie the Pooh: "Whenever you see someone pulling on big boots, you cam be pretty sure that an Adventure is going to happen". Monday Dayton and I will be pulling on our big boots and starting our Portuguese Camino adventure. This is going to be good!